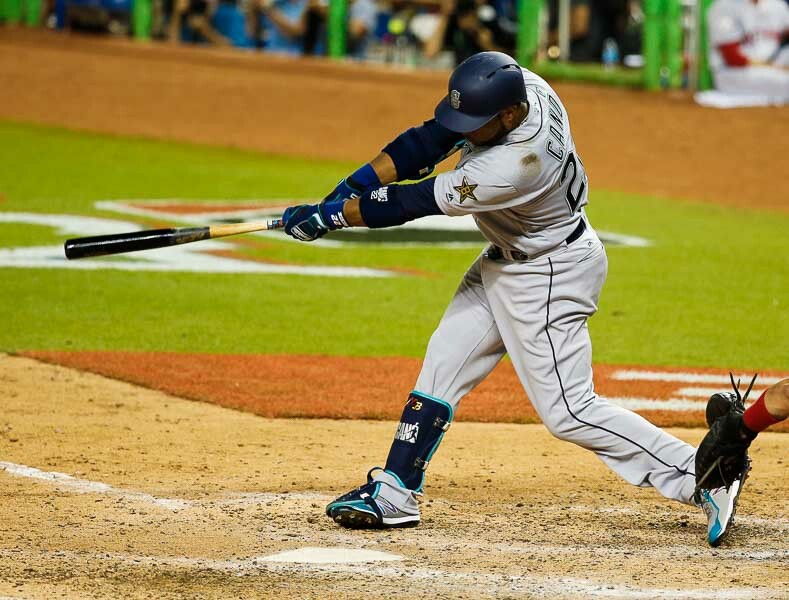 MIAMI (AFP) – Robinson Cano belted a solo home run in the 10th inning to lift the American League to a 2-1 win over the National League in yesterday’s MLB All-Star Game. Cano pulled a 1-1 pitch for a shot over the right field fence off pitcher Wade Davis, who has allowed just one homer in 76 appearances over the past two years. “A breaking ball and I hit it out of the park,” said the Seattle Mariners second baseman who was named MVP. The AL won its fifth consecutive All-Star Game and tied the all-time series 43-43-2. Craig Kimbrel earned the win while Cleveland Indians left-hander Andrew Miller picked up the save with a scoreless bottom of the 10th. Miller got assistance on a diving catch in right field by the Detroit Tigers’ Justin Upton. In the bottom of the sixth, catcher Yadier Molina tied the score 1-1 on an opposite-field homer. The 34-year-old Molina is the oldest catcher to hit a home run in an All-Star Game, beating the previous record by Yogi Berra. Washington Nationals player Bryce Harper endeared himself to Miami with his choice of shoes. Harper wore cleats that honoured the late Jose Fernandez, the Marlins pitcher who was killed in a boat crash in September. 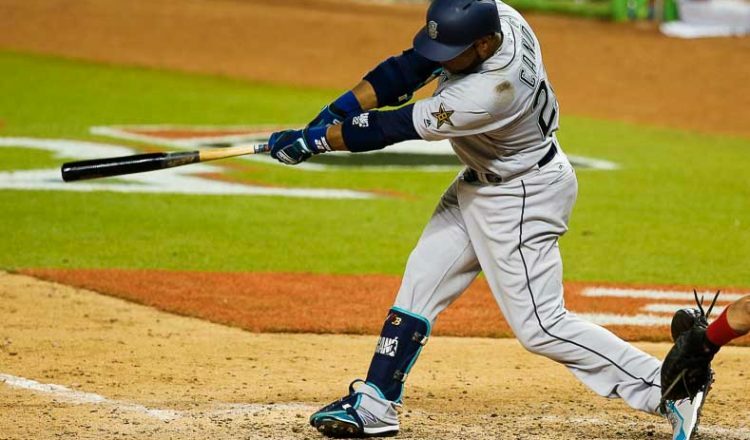 Harper’s shoes had an image of Fernandez’s face along with the pitcher’s number 16. Harper went one-for-one with a walk and a diving catch. NL starter Max Scherzer pitched just one inning, but he was solid, striking out two batters. AL starter Chris Sale of the Boston Red Sox pitched two scoreless innings.